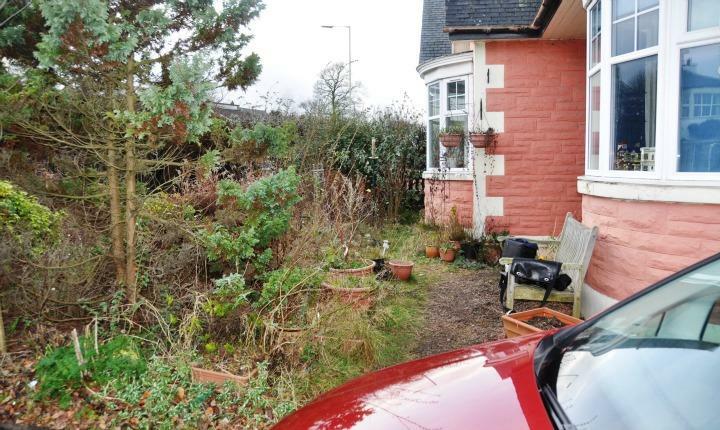 Often the rear garden can receive all the attention however the frontage to the property is so important, not only to the value of your property but a lovely welcome home each day. 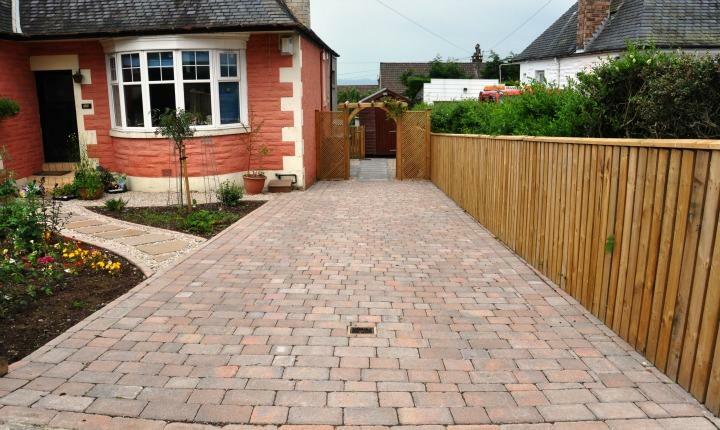 This project involved re-designing the front garden incorporating a new driveway and landscaped garden to the side. 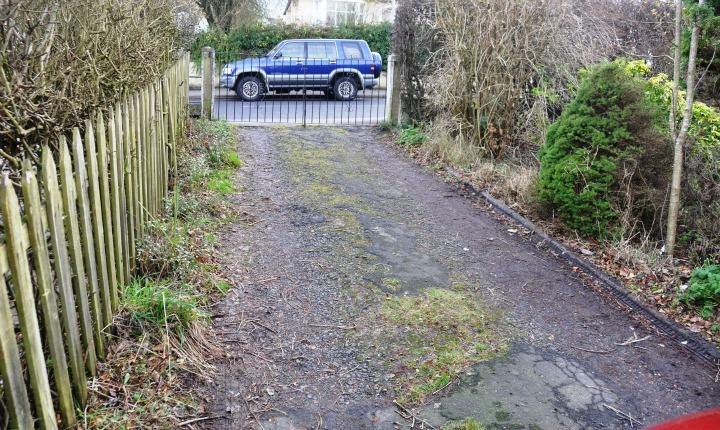 This garden was over grown and the old and tired driveway needed to be re done. 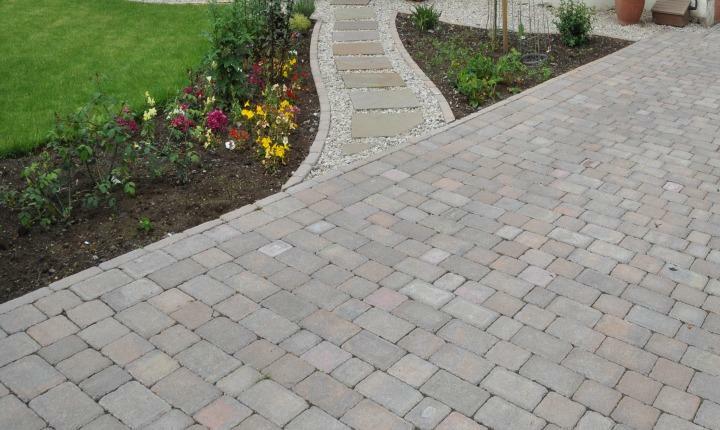 The old tar driveway was replaced with tegula traditional blocks and edged with a traditional drivesett kerb creating a smart entrance to the property. 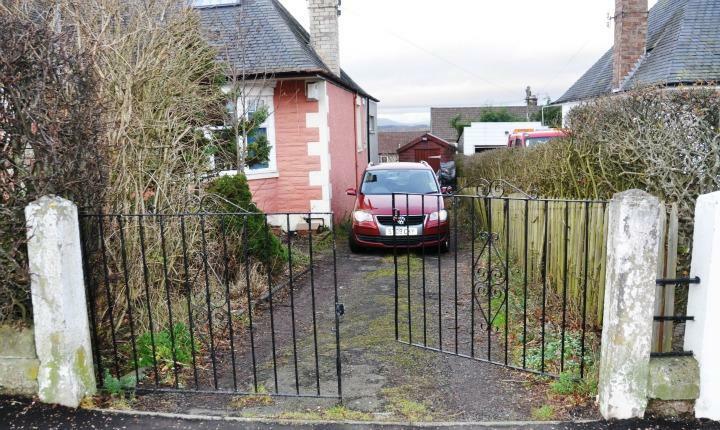 A new palisade fence was erected to the side of the new driveway leading to an attractive highfield arch way with diamond lattice trellis to the rear garden. 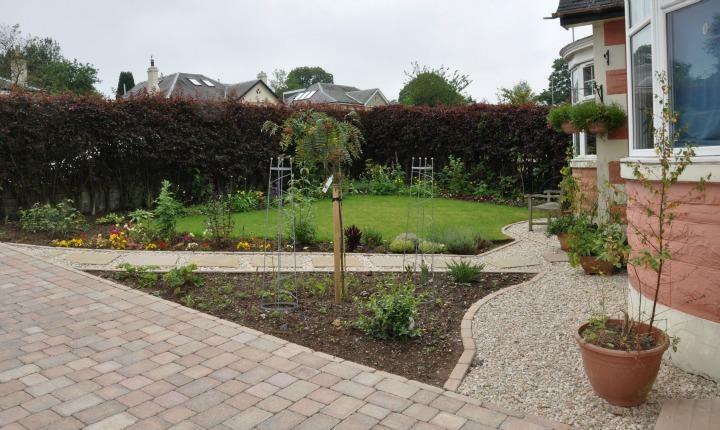 The front garden was landscaped to incorporate a sandstone autumn bronze stepping stone path leading to the front door. 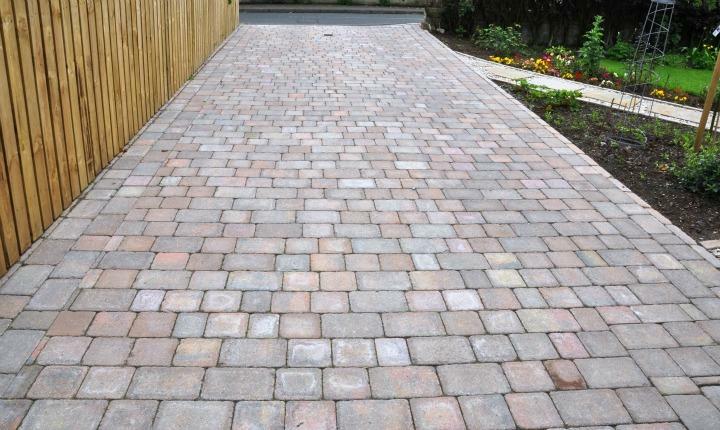 Drivesett traditional kerbs were laid to create borders and path ways which were surrounded by rose quartz gravel. Finally a new lawn was laid really rejuvenating the front garden. We feel the finished project saw a real transformation to the front garden space with the choice of materials really enhancing the frontage to the property. Not only is this project pleasing to the eye but will it positively add value to the property too. 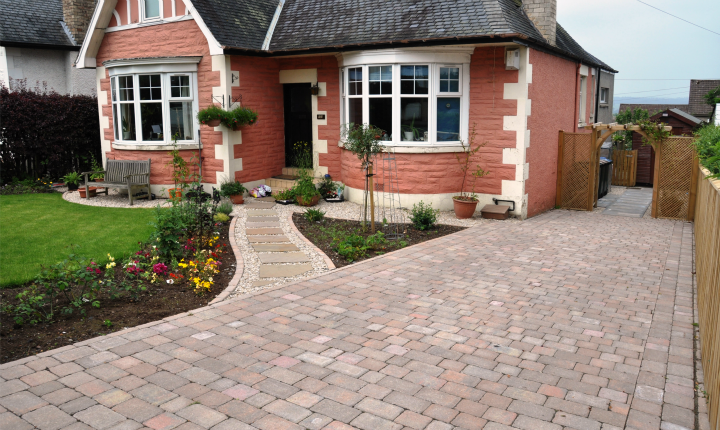 "We are delighted with our new front garden and driveway, designed by Gardens Galore. Customer service was excellent throughout. We especially appreciated the aftercare service, when the project manager visited us to sort out any "snagging", little things that we hadn't noticed at the time. Thank you to Jim and his team for our lovely new garden!"